Power BI is a Data Visualization and Business Intelligence tool. It help you to create interactive dashboards and BI reports using different data sources like various databases, files/folder and online services etc. Business Intelligence (BI) refers to a set of processes, architectures, and technologies that convert raw data into meaningful information in the form of graphical visualization like reports, summaries, dashboards, maps, graphs, KPI and charts that help an organizations to take strategical, tactical and operational business actions. Power BI is a cloud-based business analytics platform that provide users the ability to create insightful reports & dashboards. Here is the list of key benefits of power BI for businesses. Power BI is a subscription based service that does not require buying licenses, support, etc. The desktop version (Power BI Desktop) is free for all users. Although the cost of Power BI pro version is $9.99 per user per month, you can also use the trial version of power BI pro for 60 days. In fact, NAV customers can also access the free version of Power BI where they can subscribe and build their own reports and dashboards. Power BI gives you the ability to access your data on the go with native power BI mobile app. Power BI native app is available for iOS, windows and android platforms. By accessing your data anywhere anytime and using live interactive dashboards and reports, you can effectively monitor the health of your business. 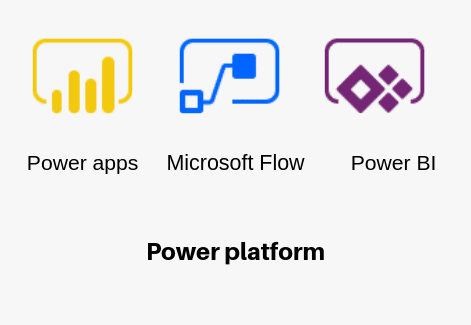 With the help of Power BI you can connect 70+ data sources like SQL Server, Azure DB, SharePoint, Excel and Online services then you can consolidate data into a dataset. By using this dataset, you can create interactive dashboard and reports. Getting the latest data is most important for organizations to take profitable business actions. The Power BI pro version has the capability to schedule data refresh on daily or hourly basis. Currently in Power BI pro, we can setup eight time slots for data refresh. Q&A is a natural language query tool that allow you to ask a question about your data and have the results in the form of graphs and charts. Currently, The Q&A feature only support the English language for any query related to your data. This Q&A feature is only available in pro and premium license of Power BI. This feature of power BI automatically creates insights by using machine learning algorithms that will determine the best insights to generate through the subset of data. Cortana (Microsoft’s digital assistant) in Power BI uses Q&A feature for asking verbally query related to your data. Cortana is more popular on mobile devices for Q&A. Finally, Microsoft Power BI helps business analyst in extracting data from various data sources, data set creation, transforming and manipulating data, and use the data for creating interactive visuals. Do you want to transform your critical business data into interactive Dashboards and report? Our highly skilled Power BI experts will create a business intelligence road-map to achieving your business goals. Akhilesh has more than 4+ years of rich IT experience in software development and maintains in .Net technologies,Angular, Power BI,PowerApps and SharePoint with different clients across the globe. He has experience in full SDLC, end to end development of web applications from requirement analysis to system study, design, coding, testing, documentation and implementation.He is also experienced in delivering cloud and hosting solution for different project deliveries.